to feel the agony of the climb and the thrill of the descent. We ride because cancer took our mothers fathers and our children. We ride to chase the pain away, to heal. We ride because it brings out the best things in ourselves. #WeRideWhy is a forthcoming documentary from Noire Rouge productions. The name of the project is inspired by poem written by former music journalist and the film’s director, Greg Roth. The film tells the story of Roth and hundreds of others like him who cycle in dedication to loved ones lost to or currently battling cancer. Greg lost his own mother Judy to cancer when he was 11 and his mother was just 31, and he remains affected by it every day of his life. In addition, the project will feature Jenny George, Ashley Berg and other mothers whose lives have been impacted by cancer and the collateral damage that this devastating disease causes. The story follows Greg as he continues the healing process from the death of his mother. In 2016 Greg rode in Obliteride for the first time. He rode to raise money for cancer research via Fred Hutch. Participating in Obliteride brought up some ghosts for Roth and started what continues to be a healing process for him. #WeRideWhy follows Greg and his team as they trained and prepared for the 2017 cycling season culminating with Obliteride. The film celebrates the passion of cycling in the Northwest at all levels and shows the beauty, emotional connection, passion, joy and benefits of cycling. Greg also shares his story about the pain and lifelong impact of losing his mother at a young age. The film and ride serves as part of Roth’s healing process from pain that he has buried for much of his life. In addition, Greg shares about the healing powers of cycling, eating healthy and staying fit after dealing with anxiety and depression. Cycling teaches Greg something new each time he rides. Greg’s focus shifts as he discovers that many people he knows in various communities are also touched by cancer. This compels Greg to get more involved in the fight as he realizes that he is just one of thousands who ride for those that they have loved and lost. Greg and his team rode over 100 miles in one day. The event took place on August 11 – 13, 2017, and team #WeRideWhy – zulily raised $12,000 for the cause. 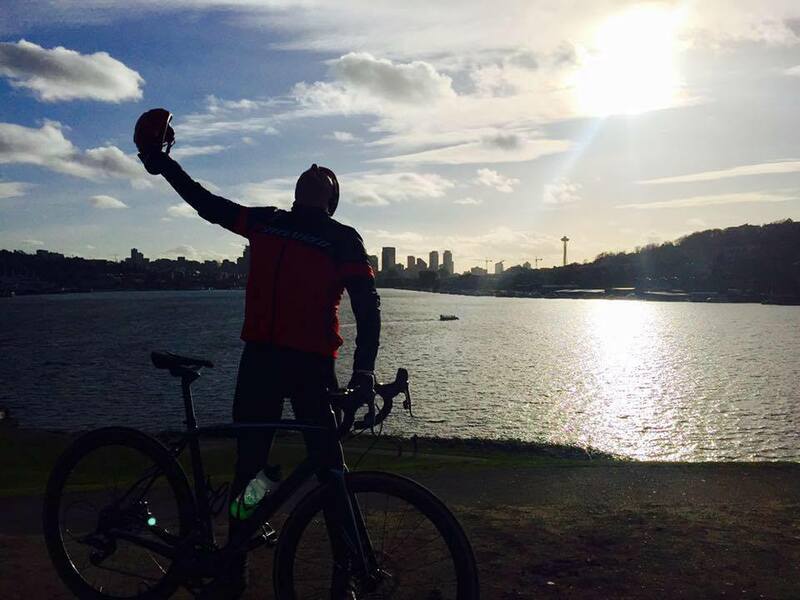 The ride finished at Gasworks Park in Seattle and were followed by a celebration with food and live music. The event usually involves 1500 to 2000 riders. The film also focuses on Greg’s late mother Judy and two special mothers that he bonds with through his own experience of losing his mother. Greg becomes very close to Ashley as they discover how their individual stories intersect. Through his knowing Ashley, Greg comes to understand what his own mother went through, and, in turn, Ashley gains a deeper understanding from Greg’s perspective on what it must be like for her 11 year old daughter to be with her mother as she watches her battle cancer. Greg shares Ashley’s story of bravery, courage and will to live. Greg and his team rode for the three mothers and other friends who have suffered from cancer. Jenny George was diagnosed with leukemia at age 12, given less than 30 days to live, and told that she would never have children. Jenny beat the odds and credits the music of Duran Duran for helping her keep her spirits up during her illness and recovery. Today, she is a dedicated mother and an advocate for cancer research and treatment. She has donated her DNA to help scientists understand, diagnose, and treat leukemia and lymphoma. As part of Jenny’s emotional healing process and drive to make a positive impact on those who have suffer, Jenny established Dancing On The Valentine in 2004 in celebration of another year of life. Held annually on or around Valentine’s Day (Jenny’s birthday), all proceeds from DoTV go to the Leukemia and Lymphoma Society. Dancing on the Valentine has raised close to $60,000 for Leukemia research since 2004, and Jenny hopes to add another $10,000 to that figure in 2018. Footage from this year’s event will be featured in the series. The movie also explores the special mother and son bond between Jenny and her son, Atticus, who is a DJ at KEXP. Ashley Berg was a single mother raising a 11-year old daughter. She continued to battle stage-four cancer throughout the production of this film. Ashley’s indomitable spirit and love for her daughter, her family and life itself drove her to keep fighting. She did everything within her power and every resource available to beat cancer. Her body may have given up but her spirit never did. Ashley passed away of cancer on May 14, 2018, the day after Mother’s Day. Despite her disease, Ashley raised a beautiful and healthy daughter in a loving and positive way. Like Jenny, Ashley loved music and often takes her to family friendly music events and festivals. She and Piper attended Timber Outdoor Music Festival since its inception. Ashley tells her story of the pain and isolation of cancer and the deep impact that it has had on her daughter and their relationship.Through the darkness and the struggle, Ashley and her daughter shared a very special and beautiful bond and love. The film concludes with Obliteride weekend August 11-13 2017 and the impact it had on those that participated, rode and shared in the experience to #CureCancerFaster. The complete film will premier in late fall with private screenings. Film festivals in 2019 and eventually released online through multiple channels.